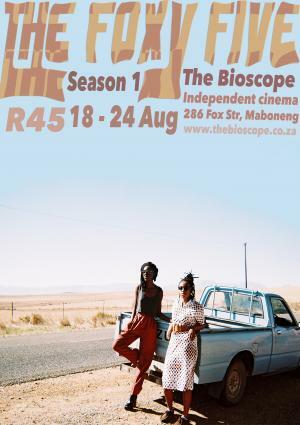 August 18th is a special date for The Foxy Five&hellip; it marks the start of our Season 1 Screening Week in JHB at The Bioscope! After a successful premiere on July 12th, we were asked to come back for more. The creator, writer and director - Jabu Nadia Newman - was particularly inspired during the #FeesMustFall movement to create this fictional web-series on the the new concepts and ideas she had recently learned. For Jabu, however, The Foxy Five is more than just a series on Youtube - it’s a mentality. The all female crew and cast hope to inspire other females and people of colour that the moment in making change is now. Feminism needs to delve deep into the issues that black womxn face everyday, something the series tries to deal with in each episode.